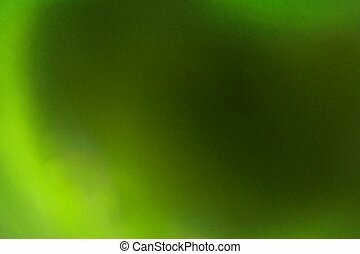 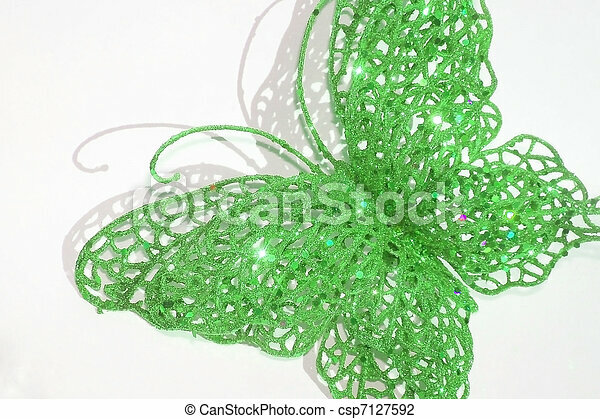 Butterfly with sparkle in green. 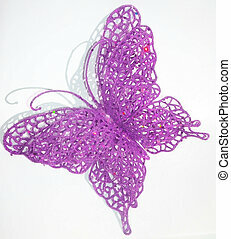 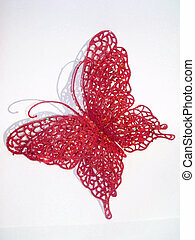 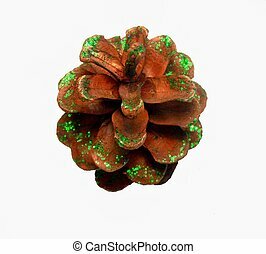 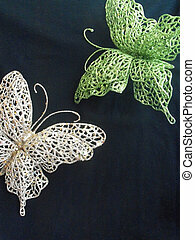 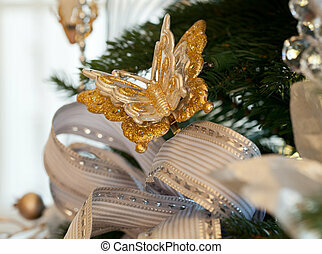 A decoration made like a butterfly. 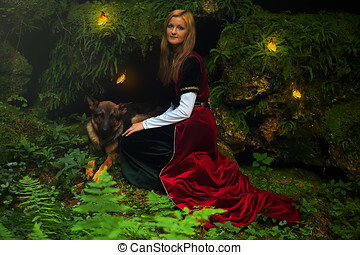 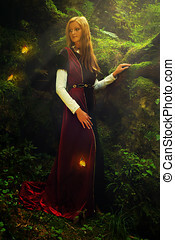 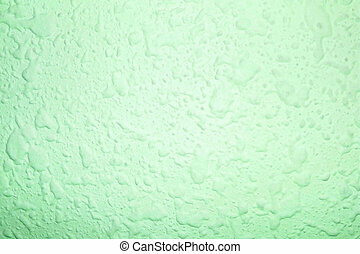 Liquid with a green light shining threw. 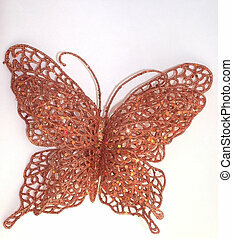 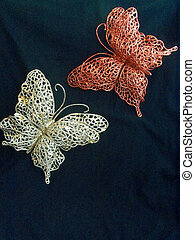 Decorative lace butterflies in copper and gold with sparkle.